Fits between the 423 (mild) and the 433 (radical) Cams from Comp with wider lobe separation. Similar in size at .050" as a Ram Air IV except more lift. Also makes much power than the Ram Air IV with a broader power curve. 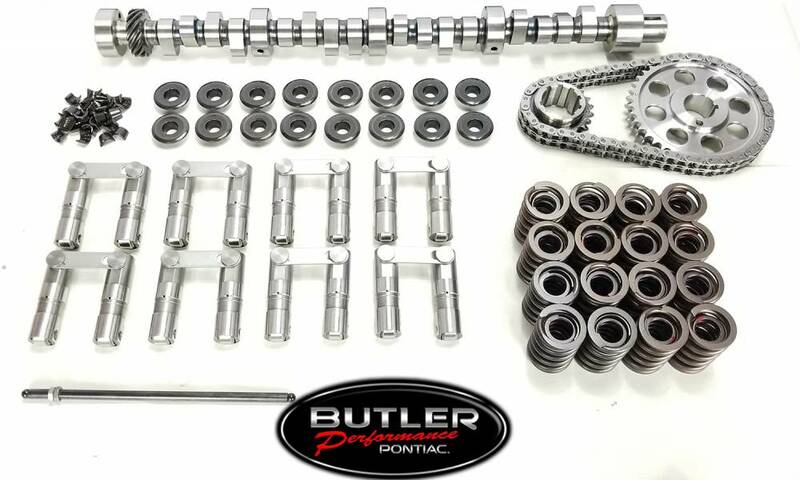 Butler custom cam master kits are designed and tested kits built with the parts we think are best for the application. Each kit has the correct cam/lifter/and spring combination with everything you need to perform a top end performance upgrade without guessing if it will work.